So, I came down the mountain, took it for a test drive, talked monthly payments with them and found they were more than generous since I was a student. That night I drove my new red Suzuki Sidekick back to school, amazed at my God’s care and attention towards me. In this instance, God had gone even further than Matthew 6:8. Not only did He answer my prayer request before I asked it, He answered it before I knew I had it. As only He can. Over these 11 years, that little car has been incredible! It has gotten us through ever major snow storm Colorado has had. Even when pickup trucks and fancy SUV’s are on the side of the road with their high fangled road-side assistance, my little 4-wheel drive has zipped right past them in her best “‘Scuse, me boys, comin’ through!” She’s taken us camping, boating, hiking, you name it. She’s been our little trooper all this time. She’s been my husband’s go-to car when he can’t ride his motorcycle. Come to think of it, she’s been a part of our marriage longer than our children have. But a few months ago she started wearing down and things left and right began to break. Then the end came. The clutch and brakes were done. We began praying as winter was around the corner and Clinton would need a vehicle to take on snowy days. It was at this time that some new friends and partners of ours told us they had recently bought a new vehicle and felt we were supposed to have their old Durango. We gladly accepted and the next day Clinton told me that he had always wanted to have a Durango. I could just feel the Lord winking at us. So, today, December 7th, exactly 11 years after I bought her, I watched my little red car be towed away to the junk yard. I thought I’d feel some sadness when this day finally came, but in truth I feel hope. Hope for what this next season will bring. I feel anticipation. Anticipation for what wonderful things He will bring into our lives from this point forward. And lastly, I feel loved. My God always knows what I need and never ceases to answer my prayers, not only the unspoken ones, but even at times the unknown ones. We have an update: We’ve officially reached 20%!! Praise God! We added 10 new partners in November and are very encouraged to see God opening so many doors! We are also humbled to see the ministry that has been taking place in each meeting. We’ve heard some great stories and seen God aligning people in ministry in some amazing ways. We are praying and preparing to continue this momentum through the holidays and well into the New Year! Finally getting to see Buckingham for the first time! Every couple begins marriage with hearts full of dreams and hopes for the future. Some of these fall by the wayside as time moves forward and reality sets in. Others evolve and become products of compromise. And then there are those dreams and hopes that just stay tucked away through thick and thin. Through rain or shine. Through sickness and health. England was that way for me. I had first traveled to England in college when I went backpacking with my 3 sisters just before Christmas. It was a whirlwind trip to London, Venice, Rome, Milan, Paris, Oxford and back to London. But something about England settled deep within my heart and for years I longed to return. After marrying I had tried in vain on countless occasions to direct us there in our vacation planning. But alas, it never happened. After 5 years, one daughter and another on the way, I laid my dream to rest and moved forward. Life took on a whole new level of busyness as we began preparing our family for the BIG transition to Kenya and all that getting there would and does entail. I didn’t really have time anymore for idyl day dreaming. Besides, my priorities had shifted to issues beyond my own comfort and happiness and trips to dream destinations just didn’t make it on the table anymore. But as I was pulling out our suitcases for the trip to Kenya my sweet husband came in the room and said, “Sooo, would you like to know what your anniversary present is now or on the trip? Because I’m going to give it to you there.” I thought for a moment and replied, “Now, I think. That way I can properly prepare.” He said, “Good, because as you know, this trip falls just before our 7th anniversary and I’ve arranged with the airline for us to have a 2-day “layover” in London on our flight home.” I turned around speechless. “Happy anniversary, Love,” he said giving me a huge smiley hug. This time everything had all come together and we were finally going to England!! 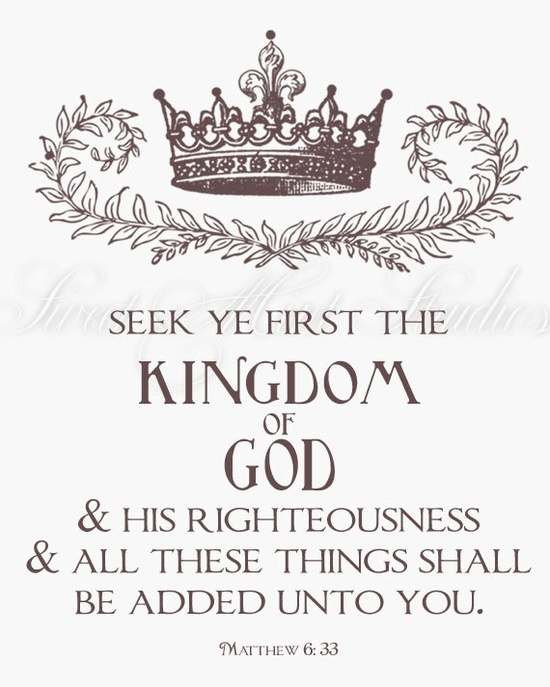 As I wrapped my mind around this in the days that followed I remembered the verse, “Seek first His kingdom and His righteousness and all these things will be added to you”*. I couldn’t help but make the connection that I had surrendered this dream of England years before to the Lord and asked Him to replace it with His dreams for my life. He did just that and I have been on an amazing path of serving Him and others ever since. Yet, He knew my heart and even in the midst of going to Kenya to seek His kingdom He still gave me a little piece of my (United) Kingdom. So, we touched down in London the day before our anniversary and spent a lovely 2 days touring the city before continuing home to the States.